LG finally made a great 2018 phone. LG isn’t reinventing the wheel with the V40 ThinQ. In fact, if you compare its specs to those of the LG G7 that launched just a few months ago, you won’t see much that’s different. But LG has upgraded the V40 where it matters most: the screen, the battery, and the cameras. That means the V40 has a notch, a dedicated Assistant button, a normal power button on the side, and a headphone jack. It actually feels like more of an upgrade to the G7 than the V30. 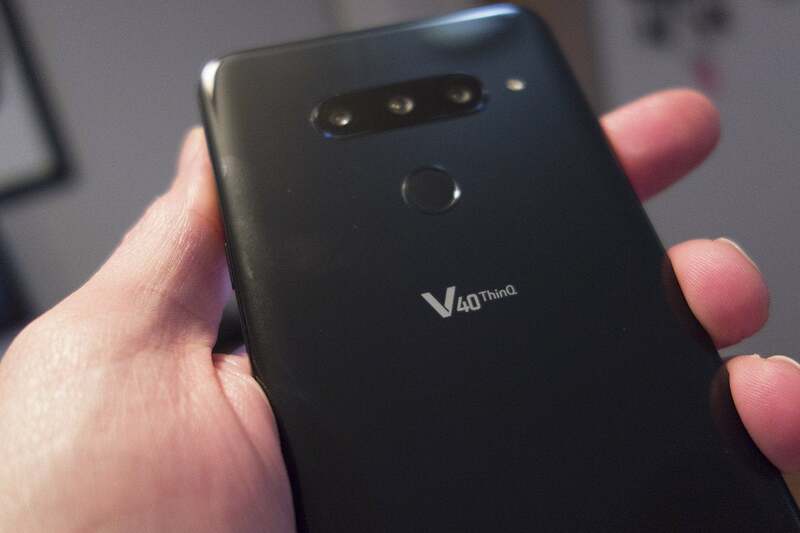 Holding the V40 is reminiscent of the G7’s shape and aesthetic, but larger: at 6.4 inches versus 6.1 inches, it’s a noticeable difference, especially since the bezels are roughly the same size all around. The LG V40 looks a lot like the G7, but it brings way more to the table. It’s a good size. In a era where phones are pushing the limits of what can fit in our pockets, the V40 strikes a nice balance between too small and unwieldy. It’s also substantially lighter than similarly sized phones like the Note 9 and iPhone XS Max, which makes it very nice to carry and hold. It comes in blue and black, but the blue looks nearly black in some lighting. Along with the new size, LG is also giving OLED another go. After the somewhat disappointing screen on the V30, LG has made an OLED phone that’s as good as its LCD ones, with deep blacks, and vibrant, richly saturated colors. Around the back, you’ll find a fingerprint sensor and a “sand-blasted” glass exterior that’s slightly less slippery than those of prior LG phones. 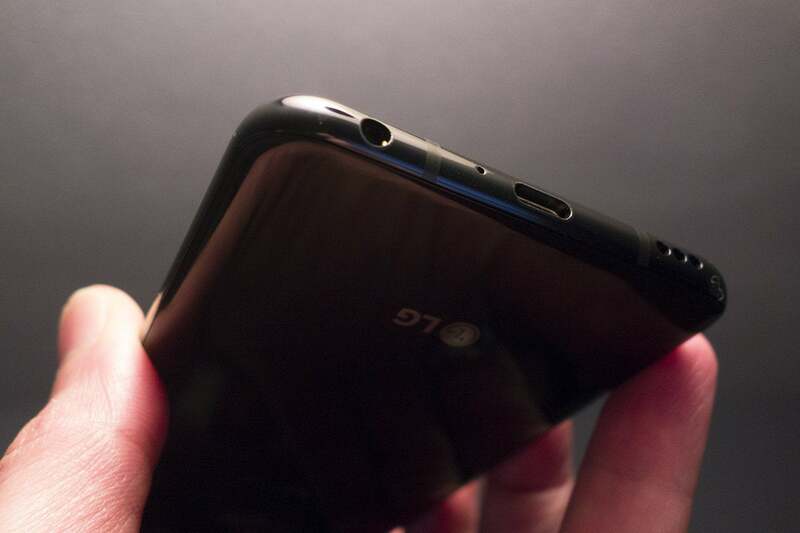 Plus it’s got the same killer Boombox sound system as the G7—which amplifies the acoustics when you lay it on a table—and a 32-bit Quad DAC 3.5mm jack, giving it an edge over the likely-headphone jack-less Pixel 3, Huawei Mate 20, and OnePlus 6T. On paper and in person, the V40 is a top-of-the-line Android phone through and through. Where LG’s prior 2018 phones have cut corners and compromised, I was instantly impressed with the V40’s focused refinement. Put it side-by-side with the G7, Note 9, or any of the premium phones that are releasing later this month and it will hold its own. Where the V40 really separates itself is with the cameras. Inside the front notch, LG has added a second camera, giving it a dual 8MP + 5MP system that brings portrait mode and wide-angle selfies. On the rear LG has added an extra camera, making it one of the only triple-camera arrays you can get in a phone (for now, anyway). 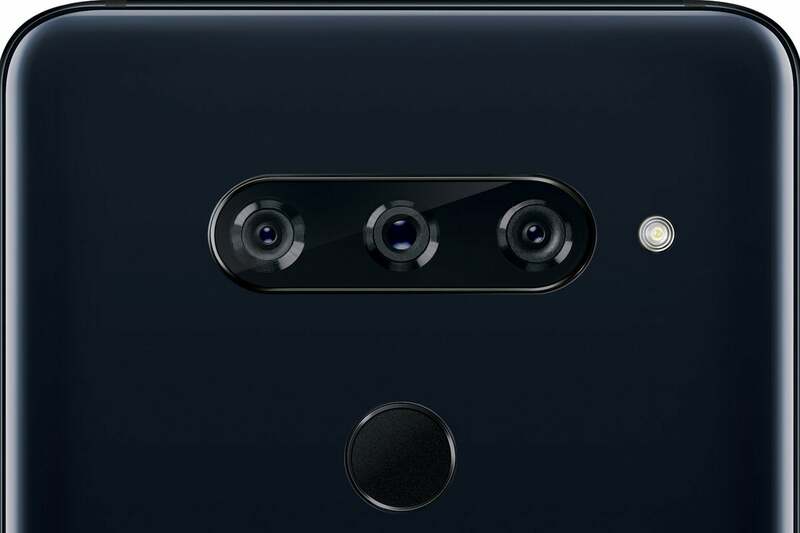 The LG V40 cameras, from left to right: zoom, standard, and wide-angle. Along with the new lens comes some new tricks for the camera app. You can access either of three cameras by tapping one of the three icons on the side of the screen, letting you quickly snap a regular, zoomed, or wide-angle shot. If you tap and hold on any of the three icons, you’ll see a live preview of all three cameras at once. It’s a neat trick and hearkens back to LG’s past ability to walk the line between consumer and enthusiast features. It’s one thing to add a third camera and claim higher clarity, but it’s another to give users a third shooting option. LG has hopefully set the standard for triple cameras with the V40. 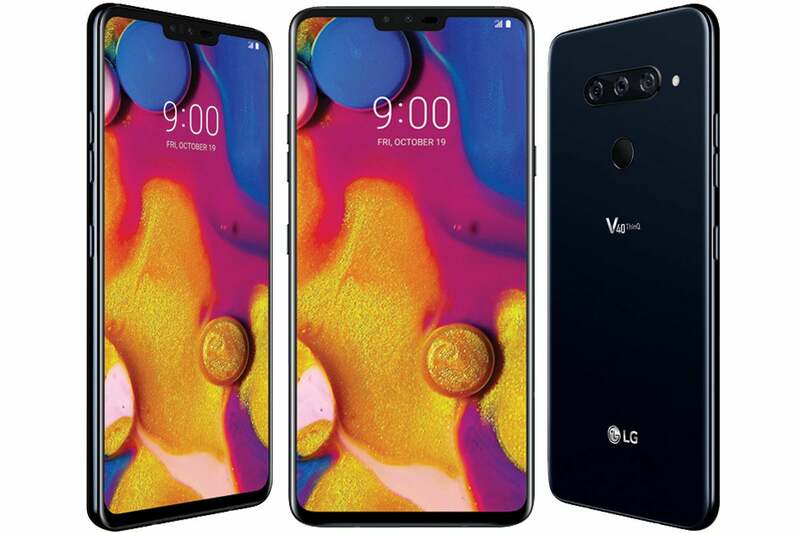 The LG V40 has threee, count em, three cameras on the back. Speaking of using all three cameras, LG has also built in a triple-shot feature that takes a picture with all three cameras simultaneously. There’s a second or so of lag as each camera does its thing, but haptic feedback ensures you won’t move your hand away too quickly. It’s a gimmick for sure, and most of the shots I took resulted in at least one unusable pic, but it shows that LG has struck a balance between fun and functionality here. I enjoyed seeing what the V40’s triple shot would do, even if I ended up just using one pic. 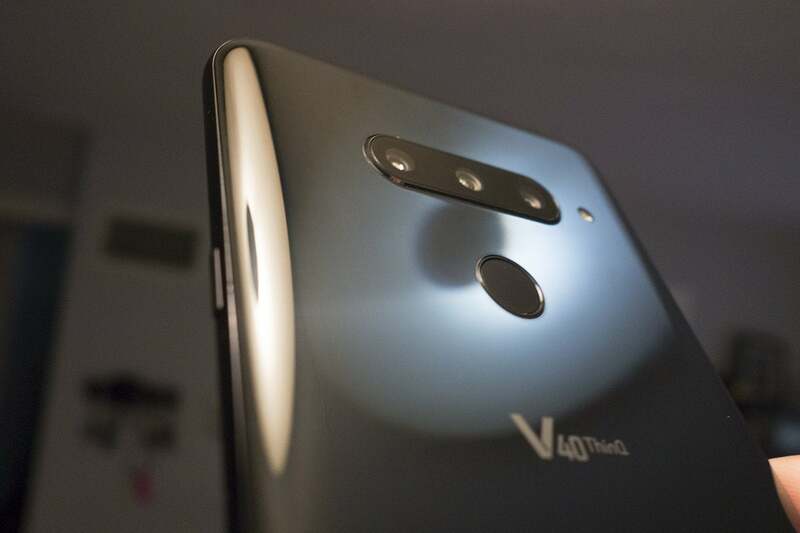 And that’s the point: The V40 is straight up the most fun I’ve had snapping pics with a smartphone camera, and it convinced me that triple-camera arrays are more than a passing fad. Case in point: It also has a new mode called Cine Shot, that provides an easy way to make cinema graphs right in the camera app. Is it something you’ll use every day? Absolutely not. But it’s a cool feature to have and, once again, it’s fun. The V40 has some stiff competition ahead of it, but my first impressions of it are strong. Unfortunately, it’s still running Android 8.1—with no timetable for a Pie upgrade—but even with the heavy-handed UX OS, the V40 is easily LG’s best effort this year. The 32-bit Quad DAC makes a return on the LG V40. LG has sweetened the pot a bit by bundling a DJI Osmo Mobile 2 handheld smartphone gimbal and a SanDisk 256 GB Micro SD Card with adapter with all pre-orders.